Videos can be for anything ranging from a professional video for broadcast around the world to a slide show presentation for an in-school health promotion. To do any of these, it’s best to use video editing software. Video Editing software that KGNU uses the most frequently is Final Cut Pro for the Mac. This program requires you to pay extra to get it. 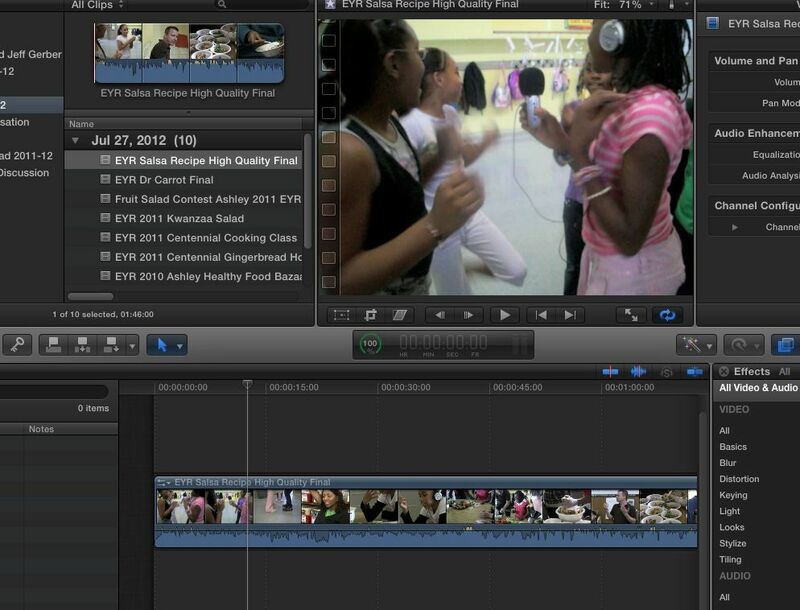 Macs and PCs offer some free video editing software. Check around and see what works best for you. Video editing takes some practice. If you’re in a partnership with KGNU, we can teach your students and your adults how to use video editing software or we can do that part for you. Or you can contact other trainers or read the manuals, and work on gaining this special skill.